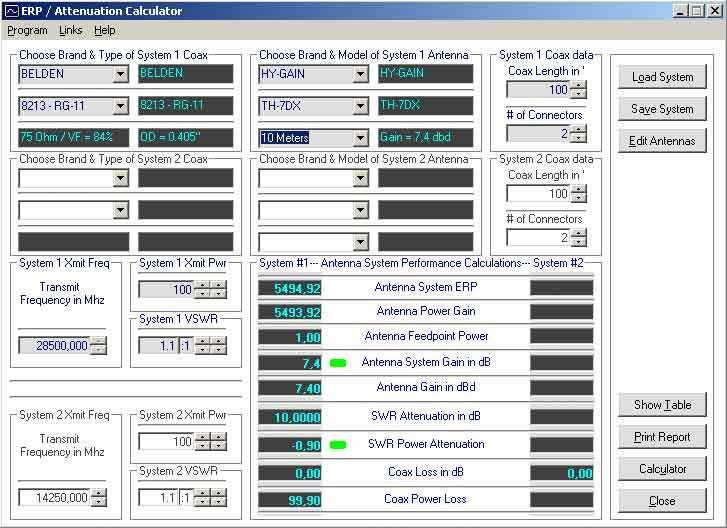 ERP Calculator is an Ham Radio software utility designed to perform a side-by-side comparison of two Ham Radio antenna systems. ERP Calculator comes pre-programmed with data files including published data for several popular brands and types of coax cable as well as several popular antenna system brands and models. Thanks… needed to do a few calculations and your program was a help. The software is asking for a lic code and to register. but the links it goes to are dead. but it does work.